With its Silicon Valley roots, the TED conference has grown from Technology Entertainment Design to the global brand for ideas worth spreading. 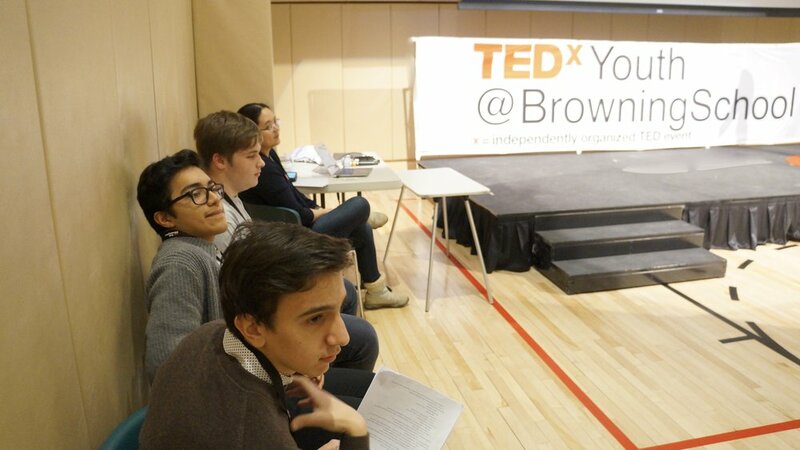 In the spirit of their mission, TED has created a program called TEDx consisting of local, self-organized events that bring people together to share a TED-like experience. Zsuzsa Marka, an experimental physicist at Columbia University and contributing member for LIGO (Laser Interferometer Gravitational-wave Observatory project), that just last year announced the discovery of gravitational-waves from a pair of merging black holes. Gregory Bill, Co-founder of Thread Learning, an edtech pioneer whose firm is building a data platform for autism and special needs education with a mission to get 100 percent of the 1.7 million U.S. children with autism on digital data within the next five years. 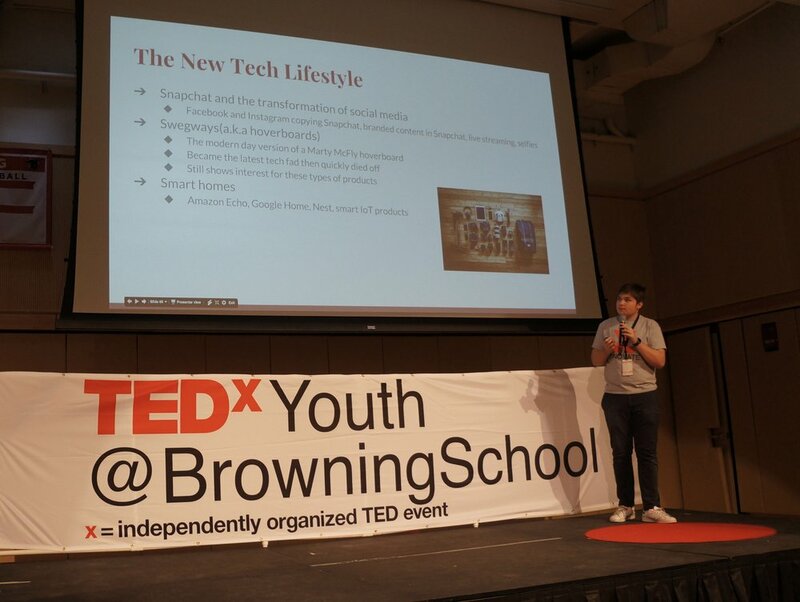 David Eisman '18, returning Browning student, discussed Youth Entrepreneurship and the Power of the Story; he has practiced the rewards and challenges young people will face as they join the global workforce and shared his story of successes and failures as a young entrepreneur. Abhinav Seetharaman, Co-founder Spoken Sanskrit Series and third-year at Columbia University, shares the remarkable story of Sanskrit and asks why Latin and Ancient Greek are taught much more widely across the world. 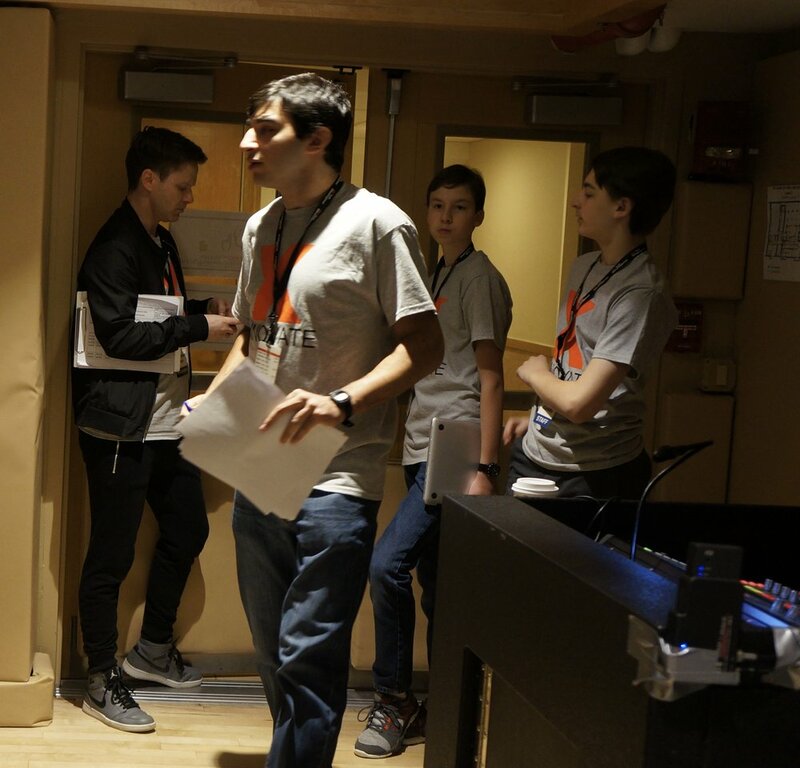 The program continued to spark deep discussion and connection among all with a student speaker series, student-led workshops, and a catered breakfast, intermission and lunch. 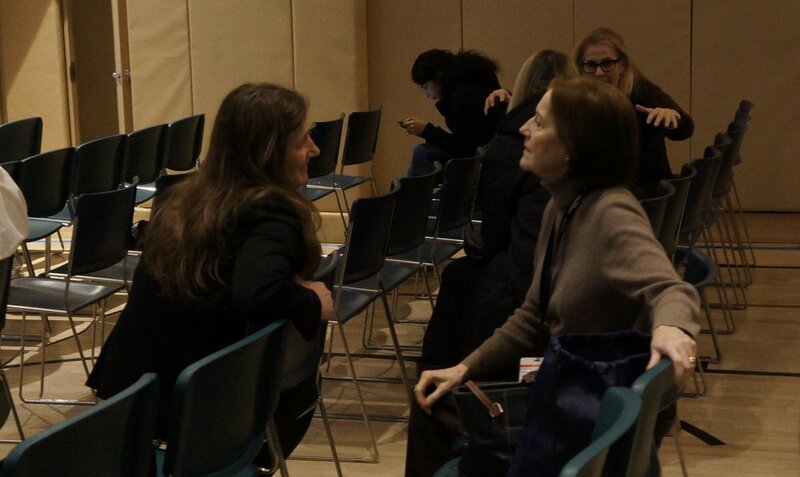 Workshops were kept intimate and designed for hands-on learning. 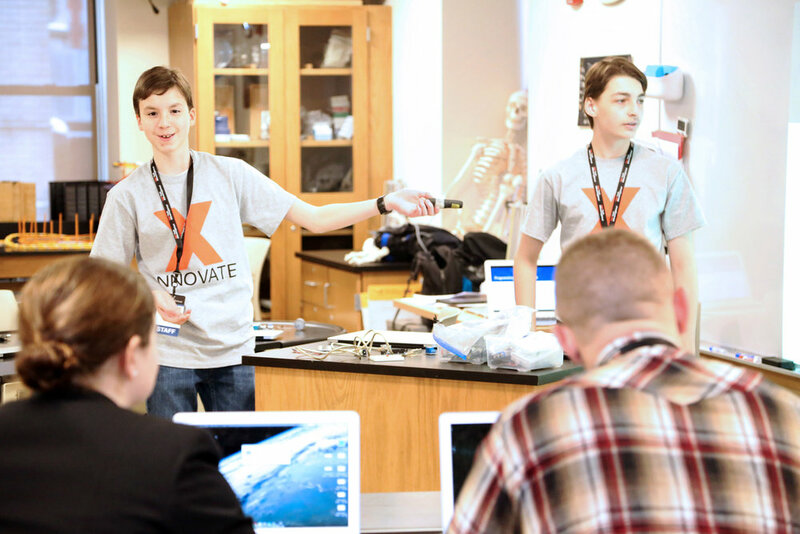 The sessions, which included Programming with Karel, Robotics and Mechanical Engineering, Arduino and Electrical Engineering, were all led by Browning boys. 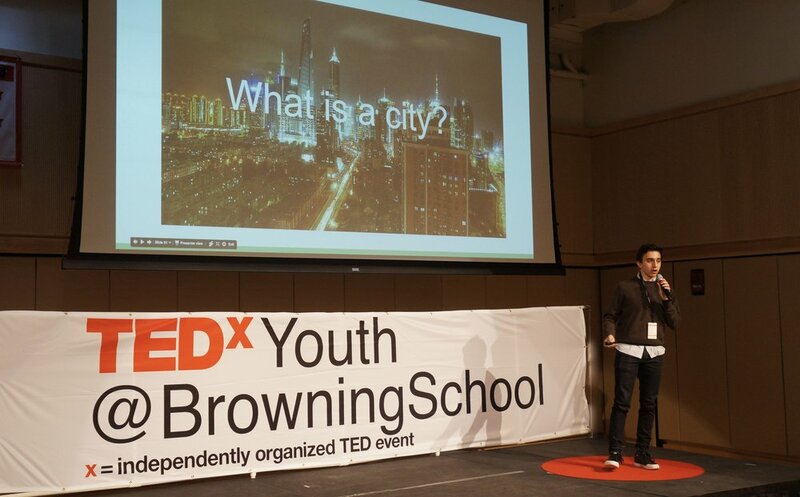 Concurrently, a student speaker series streamed live talks from six participants. 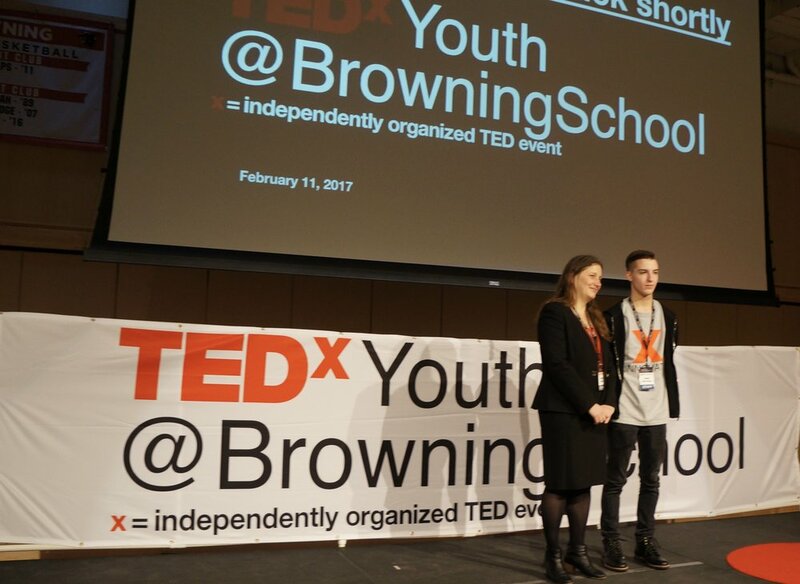 A video was produced by a Browning boy with the help of faculty and may be viewed by clicking here.